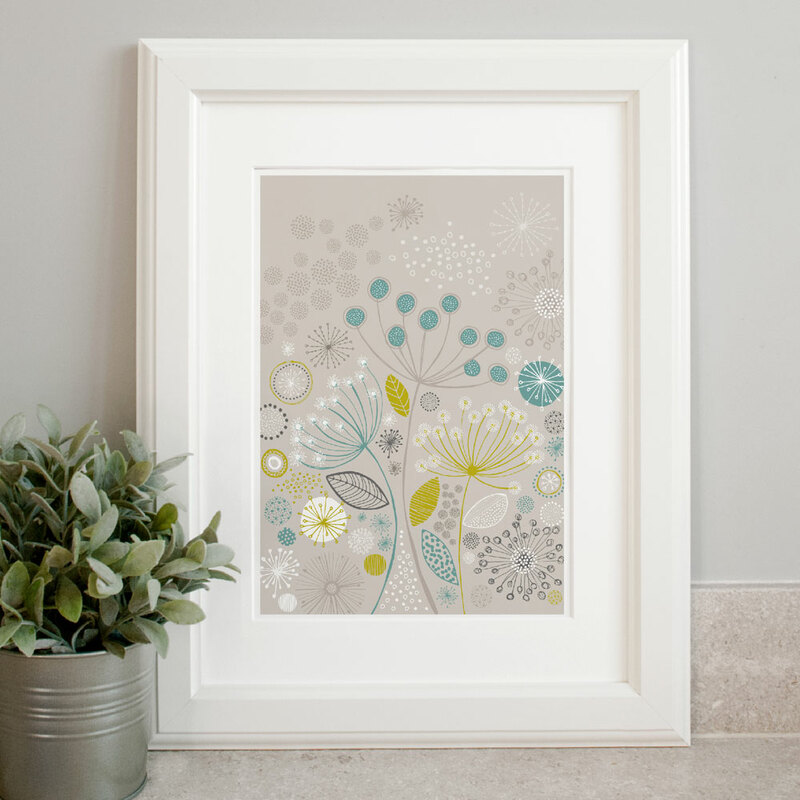 This contemporary floral print features stylised illustrations of dandelions and leaves, originally hand drawn in black ink, scanned in and digitally coloured on the computer. It’s funky style and fresh colour palette would make it a great addition to any home! Originally hand drawn in black ink on paper, scanned in and digitally coloured up on the computer. 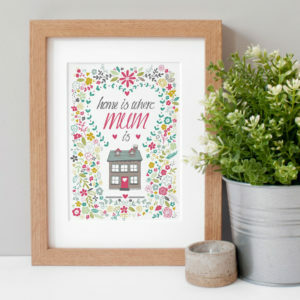 It’s bright colour palette and cute illustrative style would make it a lovely gift for someone special or a great addition to your own home!